To meet the logistics needs of its Texas customers, Palisades Logistics, a premier 3PL company, partners with Dallas order fulfillment companies like Amware Multi-Channel Logistics. 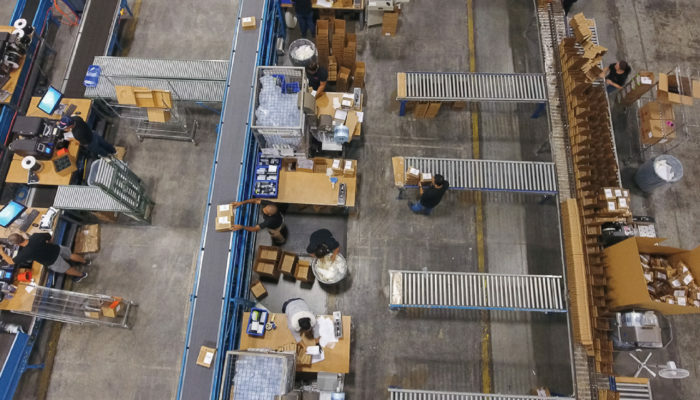 With the explosion of online sales and direct selling, the requirements for logistics and fulfillment warehouse services have changed drastically over the past decade. Companies learned that the infrastructure and systems they used for years to handle their traditional channel was not sufficient to meet multi-channel distribution and order fulfillment requirements. Amware Multi-Channel Logistics knows the difference between pallet/case-pick warehousing and true high volume order fulfillment. They offer comprehensive services to fill customer orders and distribute products for any industry – regardless of order size, quantity and/or frequency. Amware’s Dallas fulfillment warehouse services handles both B2B and B2C shipments. Located near the geographic heart of the United States – Dallas has become a very popular distribution hub for cost-conscious shippers and order fulfillment companies. From Dallas, 93% of the US can be reached via truck within 48 hours and 37% within 24 hours. Additionally from Amwares’ Dallas fulfillment warehouse location – 79 major markets can be reached overnight by truck. More than 600 motor carriers operate out of the DFW Metro area and most major US carriers have terminals in Dallas. To learn more about the Dallas fulfillment warehouse services offered through Palisades Logistics’ partner network, and to receive a rate quote – contact us at 973-331-8220 or via our contact form.